Sundara offered another round of Flowers from my Mother’s Garden recently. Her mother actually, not mine. Although my mother has a green thumb and can make anything grow even in extreme conditions. My mother plants fruit-bearing trees and herbs and vegetables. Sundara’s mother plants flowers. 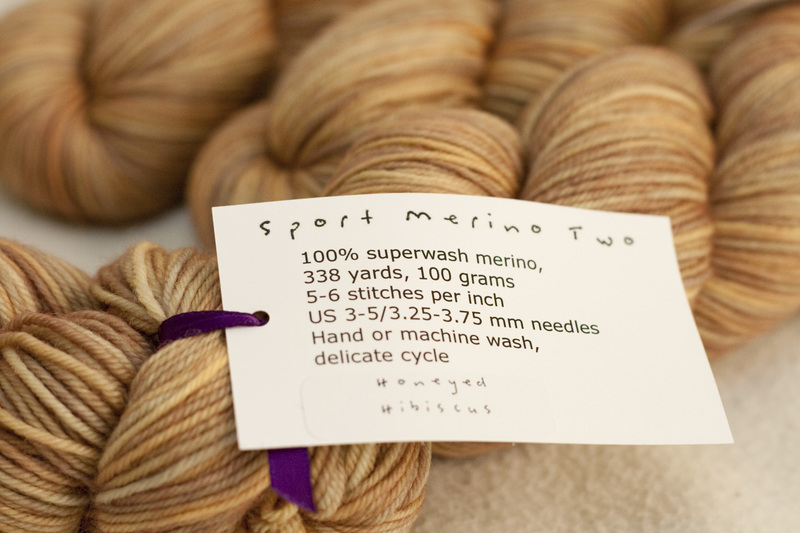 I got in this time and asked for the Honeyed Hibiscus in her new Sport Merino base. I see a new sweater in the distant future. I love how she packages her yarns. The Sundara sticker always makes me smile. 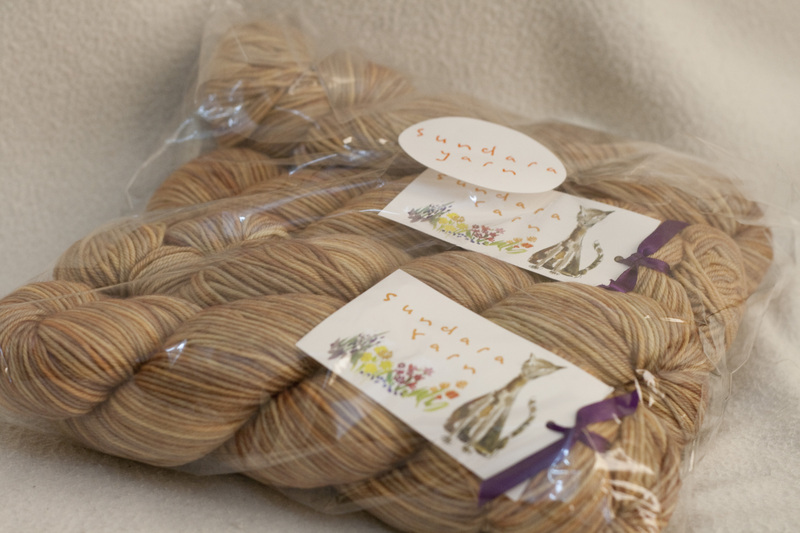 The skeins are all huddled together inside the crinkly plastic sleeve. 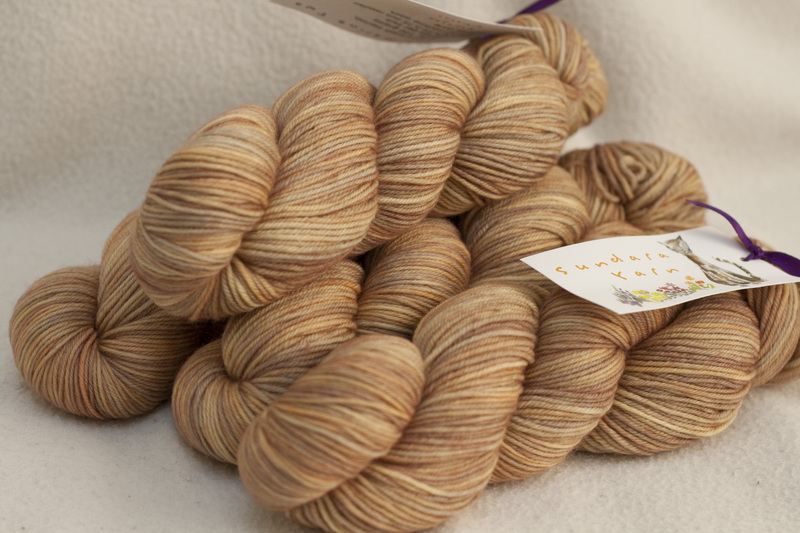 Four skeins at 338 yards each; that’s generous for US$18.50 per skein. I have enough to make a garment, but alas, my sister has asked for a brown/beige shawl so I think this will be knit up as a shawl for her. Gotta look for the pattern now, not sure if she wants a solid fabric or lace. 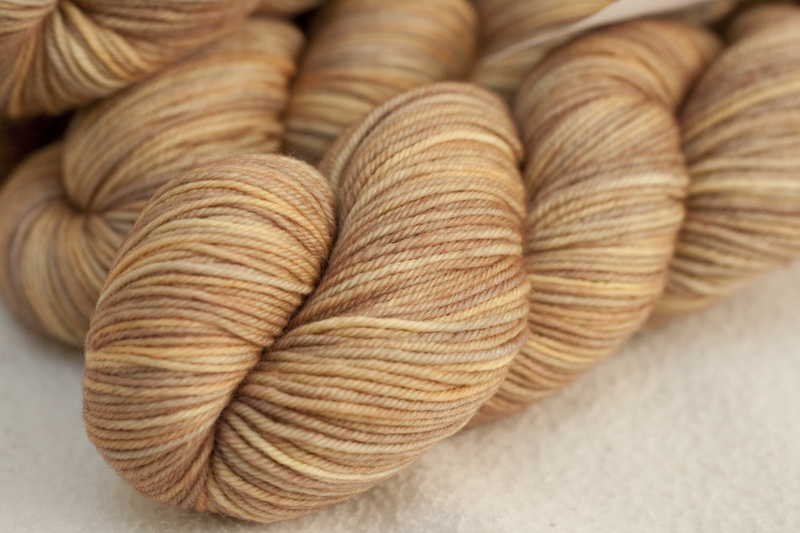 One skein of this is already being knit up as a pair of socks for Joseph. It is knitting up quick on 2.75mm needles. I decided to frog the Charcoal over Blue Lagoon Uncle Frank socks you saw on Monday and re-cast on with this yarn instead. Still Sundara, still Irishgirlieknits, still beautiful! I would love to have a look at Sundara’s mother’s actual garden, it must look spectacular! I bet this new base is every bit as lovely as her old Sport base.